You're thinking of selling your home privately, but you don't know how to begin. And you're scared to open your door to strangers, make costly mistakes and risk legal issues. If you have the time, energy and motivation, real estate expert Shannon Kernaghan can help you undertake this challenge and save you thousands in commission. Gathered from years of practical experience, her down-to-earth selling strategies will lead you bravely and painlessly through the process. 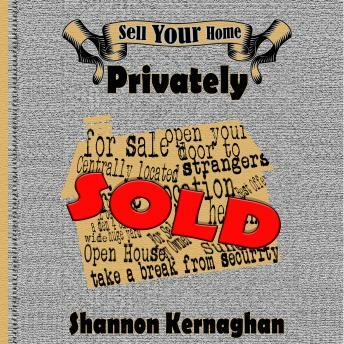 For the increasing number of homeowners who want to take the plunge and sell privately, this innovative book is an essential tool!